The port of Syros provides all the services required for a comfortable, modern and safe cruise. In the port two cruise ships can safely anchor and there is also a certification with the ISPS Code (IMO port facility number: GRJSY-0003). 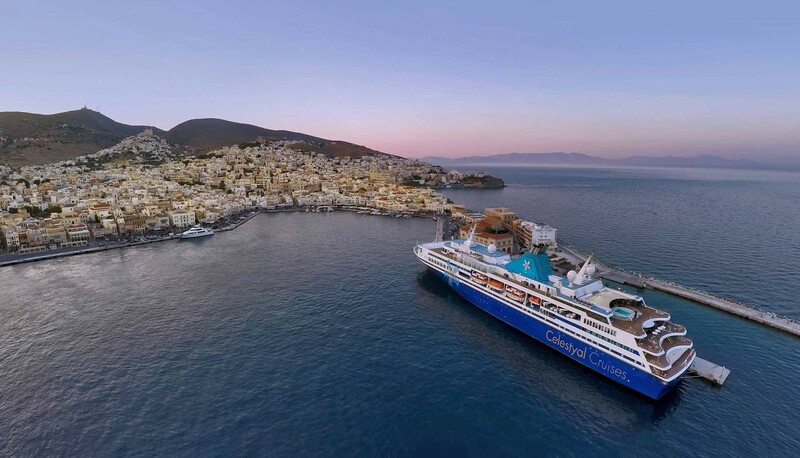 The guests of the cruise can walk at the town of Syros, live the magic of the island and admire the rare beauty that manages to combine the neoclassical with the Cycladic architecture.